Live streaming to social platforms like Facebook Live and YouTube offers a variety of benefits to professional content creators looking to grow their brands and foster deeper relationships with fans and followers. Regardless of technical expertise, content creators need to configure hardware and/or software components to help best realize their creativity and produce captivating social broadcasts. 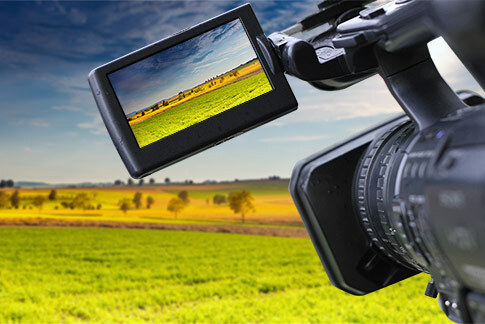 And given the variety of cameras, encoders, and capture devices on the market today, the breadth of technical setups can be as diverse as the content creators themselves. So from a small single-camera setup to a much larger multi-camera live production with switching, here are the best live streaming setups you can use to broadcast to followers on your favorite social media platform. The most basic in our list of best live streaming setups. 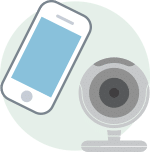 With hardware you likely already have—such as a smartphone camera or an integrated webcam on your computer—you can live stream a single video source to Facebook Live or YouTube without additional camera, capture, and encoding equipment. Social streaming using a smartphone is a great mobile option for vloggers on-the-go or for those streaming directly from an event. But while smartphone cameras might offer relatively high-quality sensors, these devices typically lack the extended customizability of professional HD cameras, such as interchangeable lenses, exposure settings etc. Audio quality is generally less than ideal too, especially in situations where the speaker is far away from the smartphone operator or in cases where there is lots of activity in a room or venue (concert, conference, etc). Smartphones also need to be held in the hand, resulting in a less stable viewing experience for your audience. At this time, only Facebook Live supports mobile live streaming. To broadcast live with a smartphone, you need to download the Facebook app and create a new post using the “Live” option. Using a webcam on your computer is another low-cost alternative to purchasing an HD camera. However—what you save financially often costs you in terms of image quality, as most (but not all!) 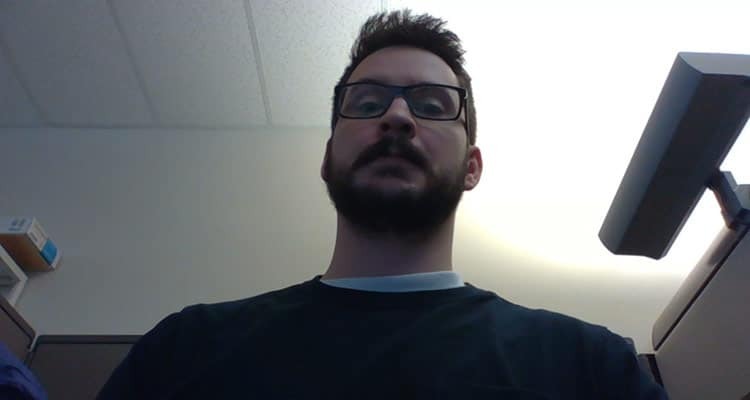 webcams capture in lower resolutions. Webcam placement can also be challenging for professional-quality live streams. Some integrated webcams on modern laptop computers, for example, are positioned very low within the hardware, resulting in an awkward field of view for your audience. Not the best view for a professional-looking live stream! This shot was taken using a laptop. Note that even with a webcam, you’ll still need encoding software to push your stream to the social platform of choice. 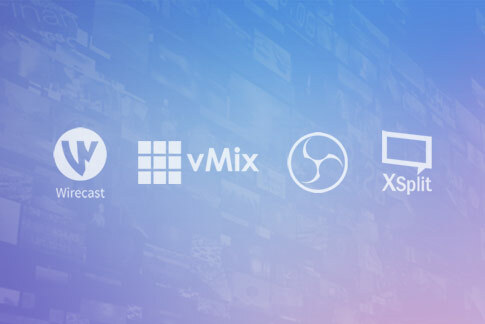 Check out our list of the best streaming software to get some ideas. 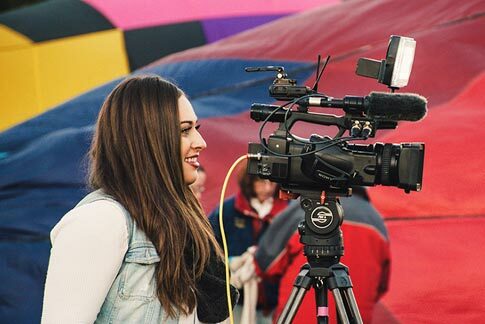 Streaming using an HD camera is ideal for professional vloggers or video personalities looking to share topical issues, answer questions from fans, or comment on the day’s events. And streaming using an HD camera is an excellent option for content creators looking to deliver the best quality broadcast possible. There are plenty of different types of HD cameras out there on the market today that are packed with features at increasingly affordable prices. If you don’t currently own a camera, take a look at our list of different types of HD cameras to get a sense of precisely what camera best suits you. 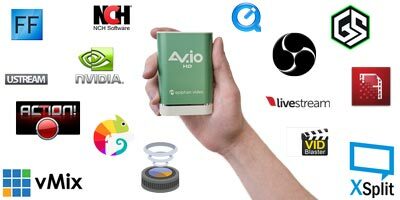 With an HD camera in hand, you need a capture device to capture the camera’s signal (such as AV.io HD) and either a hardware or software encoder to encode and deliver the content to your selected social platform. The easiest way to broadcast your content, however, is to use a designated social streaming device, like Webcaster X2. This device is designed from the ground-up to streamline the social streaming experience for content creators. To describe the process in a nutshell, you simply connect your camera to the device and enter a unique device code into a web field to begin the stream. No capture tools or encoders required. Watch the Webcaster X2 quick start video to get an overview of how these innovative new products work. The simplest encoder for Facebook, YouTube, and Twitch. 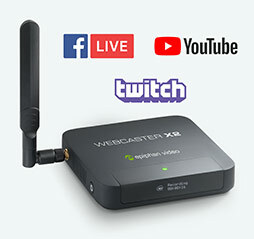 Webcaster X2™ is a dedicated encoder designed from the ground-up for live streaming to YouTube, Facebook, and Twitch, making streaming a breeze. Multi-camera social broadcasts are increasingly attractive options for content creators looking to maximize their creative output through the use of custom picture-in-picture layouts, source cropping, live switching, and more. Facilitated using powerful encoding software and hardware platforms, multi-camera streaming is a popular and versatile live production setup. 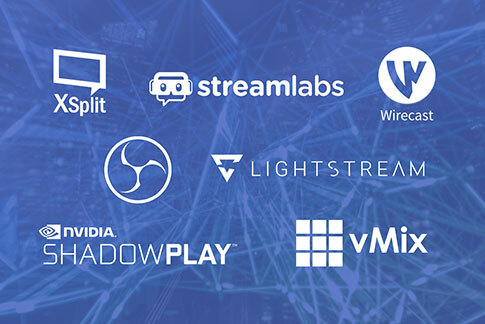 Many professional content creators use multi-camera streams for broadcasting live events, video game competitions, tutorial videos, interviews, demonstrations, and much more. 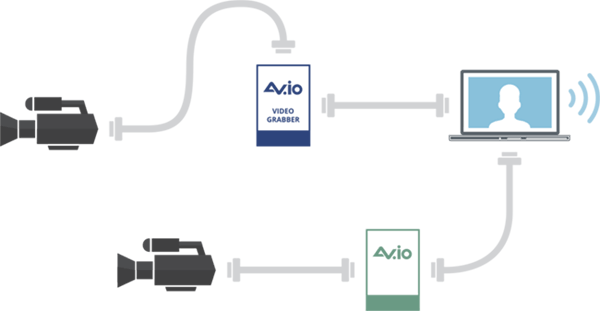 At least one video capture device, such as AV.io 4K, AV.io HD, and AV.io SDI. This kind of setup involves connecting each camera or external video source directly to each capture device to bring your video signals into your encoding software. From here you’d use the software to customize your layouts and configure encoding settings for your preferred social platform. Read our latest How-to article for the exact steps involved in streaming a multi-camera live production using OBS. Capture HDMI, VGA or DVI video at resolutions up to 1080p. Connect to any computer with a USB port. As an alternative to using software to live stream multiple HD cameras and sources to social platforms, you can also use encoding hardware. 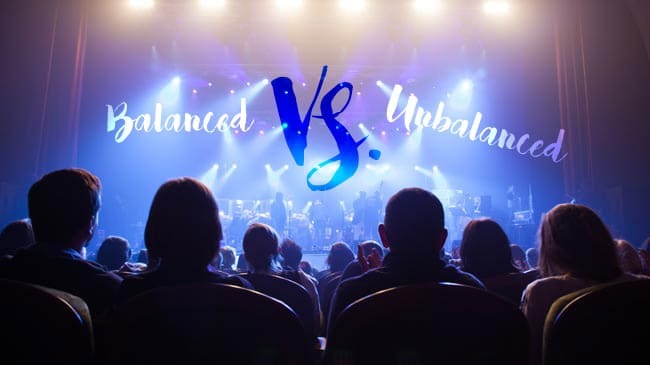 Such hardware platforms are designed specifically for encoding multi-source live productions and typically offer a thorough and refined feature set to reflect this specialty. Our Pearl-2 is an example of what I’m talking about. Pearl-2 was built as an “all-in-one” live production mixer, meaning it offers simultaneous multi-source capture (up to 4K resolution), encoding, streaming, and recording in addition to features that are specific to live productions, such as custom layouts, live switching, and more. Pearl-2’s powerful multi-encoding feature lets users publish to different locations at the same time. In a social streaming context, this means you can easily broadcast your stream to Facebook Live *and* YouTube simultaneously, if desired. 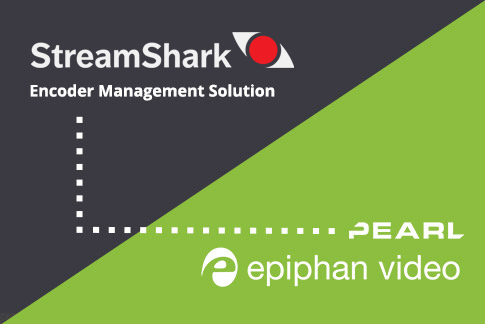 Compared to encoding software which requires the full attention of your capture computer, using designated live production hardware like Pearl-2 ensures your computer remains available for helpful purposes like monitoring your live stream and engaging your viewers on your selected social platform. 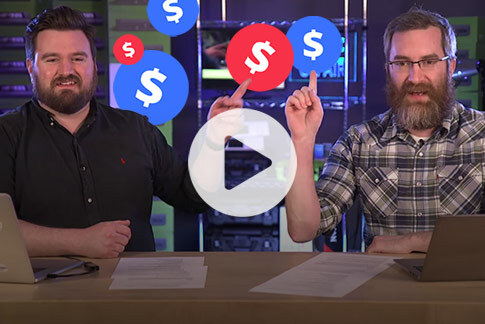 The main drawback to hardware encoders compared to other options is that hardware doesn’t always come cheap—but with all the advantages of platforms like Pearl-2, we think it’s definitely worth the investment as these appliances are essential to creating dynamic and engaging live streams that take your professional content creation efforts to the next level. Do you live stream to social platforms like Facebook Live and YouTube? Which is your preferred method from our list of best live streaming setups? Let us know in the comments below. Well elaborated for all types of content producers, Thanks to Mr.Jordan Sheldrick for the work. We offer a large variety of video intros and outros for you to use in your videos. You can browse through our “video intros” and “video outros” albums to easily drag and drop whichever one you like directly at the beginning or end of your video. Pair it off with some personalized text or effects for impressive results!